Racing 92 made the European Rugby Champions Cup quarter-finals for the fourth time in the last five seasons when they topped Heineken Champions Cup Pool 4. Now they face an all-French clash with Toulouse at Paris La Defense Arena live on FR2, beIN SPORTS and BT Sport. Here are five of their top players. Le Roux has been an important player in Racing’s progress to the quarter-finals, featuring in five of their Pool 4 matches and impressing in attack and defence. A back-row forward, the South African-born 29-year-old has largely been employed this season as a flanker, where he won the majority of his 33 caps for France between 2013 and 2018. 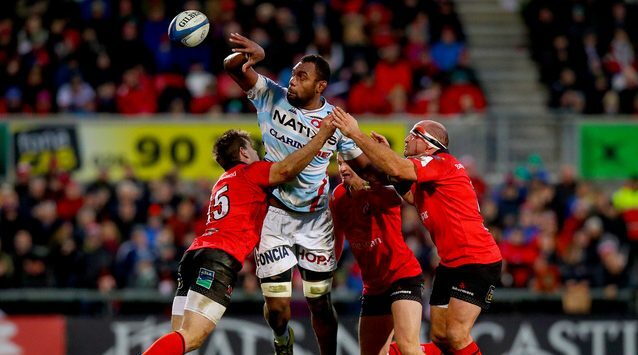 The first Racing 92 player to be voted EPCR European Player of the Year in 2018, the hugely talented Fiji lock has carried on this season where he left off last term and been nominated for the 2019 award. The 31-year-old is renowned for his breath-taking offloads and is third in the 2018/19 chart with 13 after playing in all Racing’s Pool 4 games. Russell has proved a superb signing for Racing from Glasgow Warriors, featuring in the Heineken Champions Cup top 10 lists for points (48) and offloads (10) after the pool stage. The Scotland fly-half’s silky handling and kicking skills also earned him the Heineken Man of the Match award in the 14-13 win at Scarlets in Round 1. The France wing made only one appearance in the pool stage due to a thigh injury, but scored in that game against Ulster Rugby in October, when Racing strolled to a 44-12 victory, and now that he is fully recovered, the fleet-footed 25-year-old will be looking to continue his average of a try in virtually every other European game. 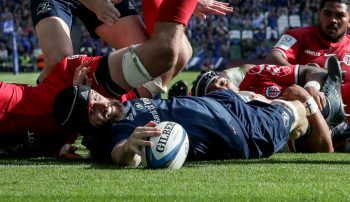 The 29-year-old Irish international has also been an astute signing by Racing, marking his first season with the Parisian club by scoring five tries in the pool stage to lie joint third in the 2018/19 list. 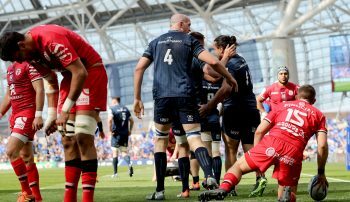 This included a brace in the 46-33 home win over Scarlets in Round 6. Zebo now sits sixth on the all-time European Cup try-scorers’ chart with 28, the rest having come with Munster Rugby.